Holly Kirkwood travels to two new communities in Idaho and Canada that plan to take you back to nature. It’s no secret that spending time in beautiful surroundings makes us happier. Although we’re increasingly urban creatures, in our leisure time, we yearn to be outdoors. Unfortunately for us Europeans, however, our most popular playgrounds are also the most populous: the Côte d’Azur is magnificent, but the August traffic is murder. Similarly, ski lifts in the best resorts over Christmas and New Year can prove as overcrowded as the 07.48 from Reading to London Paddington. Europe does have its wild places—for example, the deep, dark forests of Romania or Slovakia—but they’re not suitable for a holiday home. No, for proper widescreen, Technicolour drama, one must look across the Atlantic to North America. The continent is comprised of magnificent landscapes put together on an awe-inspiring scale that Europe just can’t compete with, in which nature is still relatively untouched. It may be further to fly, but two new developments currently under construction offer reasons why, once you get there, you’ll be happy to stay put for quite some time. Most British travellers will know Jackson Hole as a ski resort, but, this Wyoming town has its busiest season in August, when the skies are cloudless and the temperatures soar. The glaciers high up in the mountains are the only reminder of the ski season, but in summer, it’s all about walkers, campers and mountain-bike riders, not to mention fishermen, paddleboarders and white-water rafters; adventurers of all kinds flock here. Happily, the vast Grand Teton National Park absorbs them all effortlessly. Located next to the more famous Yellowstone, it’s a magnificent combination of mountains, valleys and prairies in which hundreds of people can lose themselves. The local wildlife is an attraction in itself, from chipmunks and ground squirrels to moose, elk, buffalo, bears, mountain lions, wolves, eagles and hawks. The rivers are teeming with fish—trout, in particular— and the fly-fishing is exceptional. Jackson Hole bustles year-round and property there comes at a premium because of the building restrictions. However, across the state line into Idaho, some charming old settler towns—such as Victor and Driggs, located on the Teton Valley floor just 40 minutes from Jackson, in proper Wild West country—are quietly becoming desirable. For anyone looking at property here, the story is a familiar one for the USA. From 2008 to 2011, there were foreclosures, even on some of the larger family homes, but as soon as prices hit rock bottom, a number of canny investors secured some incredible bargains, purchasing homes valued at more than $1 million (£607,600) for a third of that price. Today, values are rising sustainably, particularly for high-quality family houses. One local self-made billionaire who loves the Teton Valley area is currently in the process of putting together a $200 million (£121.5m) very private community of like-minded people, set in this peerless landscape. Jon Huntsman Sr made his personal fortune in petrochemicals and hasn’t developed property before, but Huntsman Springs isn’t any normal development. Mr Huntsman, one of just 19 people living who have donated more than $1 billion to charity, is determined that his project, located on the edge of the small town of Driggs, will spill into town to aid its prosperity—all profits are going directly to the remarkable Huntsman Cancer Institute in Salt Lake City. (www.huntsmansprings.com or telephone Savills on 020–7016 2740). Mr Huntsman has chosen quite a spot: the 1,350-acre site is surrounded by staggering mountain peaks—the Teton Mountains and the Big Hole Mountains—and the sunsets are spectacular. Huntsman Springs will offer a range of properties alongside a top-end hotel, a health-and-fitness centre and a number of restaurants. A two-mile boardwalk rising above the 500 acres of pretty protected prairie lands takes walkers or runners past well-stocked trout pools. The golf course, designed by David McLay Kidd, has already won a number of awards and is an attractive, and popular, addition. This truly is a year-round destination. Families will come for months at a time in summer and winter offers a guaranteed ski season running from October to past Easter: the snow here is a good deal more reliable than that in the Alps and ideal for all levels. 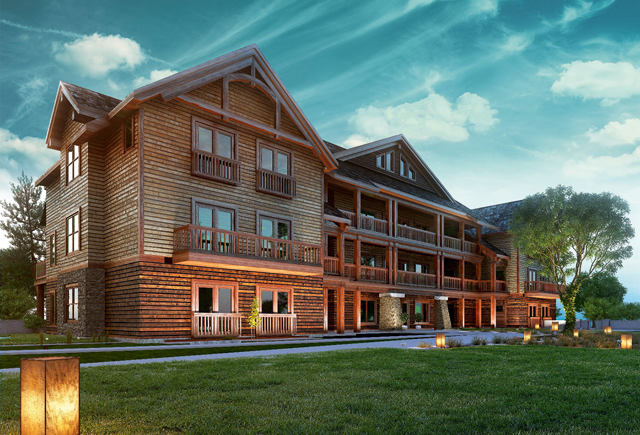 Properties on offer include fully furnished classic rustic large mountain-view lodges with four to six bedrooms and up to 5,400sq ft of living space. All are built using local materials, including natural timber, natural stone, moss rock, travertine and white oak, and feature flagstone terraces and huge casement windows. There are four models of lodge, the small- est of which starts at $1.69 million (£1.027 million). Park Homes are smaller and emphasise front-porch family living with views onto generous sidewalks, parks and neighbourhood streets. Ranging from 2,450sq ft to 2750sq ft of living space and starting at $749,000 (£455,000)—fully furnished—plans feature upstairs and downstairs living possibilities along three different designs. Alternatively, investors can buy a plot and build a mountain-view lodge or a park home onto their chosen site: currently, there are five mountain-lodge floorplans and three park-home floorplans available, offering four- to six-bedroom residences in various locations throughout the community, from the fairway to the prairie. Private jet: Victor private charter from London Luton to Driggs Idaho quotes $105,350 (£64,665) for up to 12 pas- sengers on a flight with a single stop in Detroit (020–7384 8550; www.flyvictor. com). Commercial The best bet from London is to fly to Salt Lake City (Delta flies from Heathrow to JFK in New York, then on to Salt Lake City) and Jackson Hole, all in a day from between $6,000 and $8,000 (£3,683–£4,910) per person in business class with your luggage checked straight through. Canada has long held Britons in its thrall, from early explorers to modern holidaymakers looking for a Rocky Mountain adventure. The entire, vast country would take a lifetime to get to know, but one region on the up happens to be the closest to the UK: Nova Scotia. Dubbed ‘Canada’s ocean playground’ and with a climate moderated by the Atlantic, this scenic province just six hours’ flight time from London has recently seen a great uplift in visitors. Inland, the countryside is made up of gently rolling hills and forests, which turn ravishing colours in autumn, and along the coast, the picture-postcard fishing villages and towns are reminiscent of Cape Cod. Nature is abundant everywhere, from the bears in the forest to the whales and plentiful lobsters in the ocean. Local culture is based around the great outdoors, from sail- ing to equestrianism. Children take walking trips in summer and skate in winter the minute the lakes freeze over. Nova Scotians are also great foodies: the famous lobster is, for once, as good as it’s claimed to be and almost every restaurant puts a genuine emphasis on serving fresh, local food. Some farmers are even branching into viticulture, the results of which are quite palatable, a fact that becomes less surprising when you realise their fields lie on the same latitude as the South of France. Bucking the trend of most North Atlantic economies, Canada’s star has continued to rise since 2008 and, as a result, the property market is thriving, with high demand from overseas investors. House-price growth is steady and, as the European and American economies continue to recover, demand for property here is growing. In the capital, Halifax, the pretty, substantial family houses command upwards of CAN$2 million (£1.11m) in the most desirable parts of town—which continues to be a magnet for those involved in both ship- building and the oil industry. 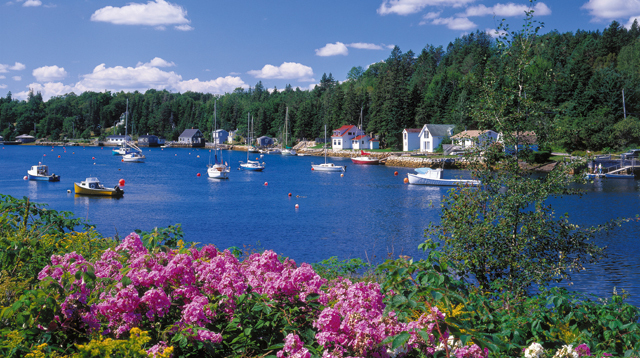 However, many wealthy locals choose to live outside the city in one of the historic lakeside settlements that include Chester and Lunenburg. The largest project under way in the area aims to allow owners and their families to be able to explore everything this diverse region has to offer. Forest Lakes Country Club will be built over 1,700 acres of land situated a half-hour drive from Halifax that adjoins more than 80,000 acres of untouched countryside. The community will offer apartments and large, private lakeside family homes built from local natural materials. It will have a golf course and other sporting facilities as well as everything residents will need, with an emphasis on families (www.forestlakescountryclub.ca or telephone Savills on 020–7016 2740). The concept is for a self-sufficient community of private properties with an emphasis on the fact this is a year-round family destination. Forest Lakes will have a village centre as its focal point, offering convenience stores, cafes, hotels, restaurants and a spa. The golf course has been created by Jack Nicklaus’s design company and is currently under construction. Residents will be able to fish, hike, swim, play tennis, cycle, jog, windsurf, ice skate and cross-country ski throughout the trails and lakes, so there will be no shortage of things for children to try out or events for families to take part in. An equestrian centre is planned and the whole area will be criss-crossed with trails for walking. 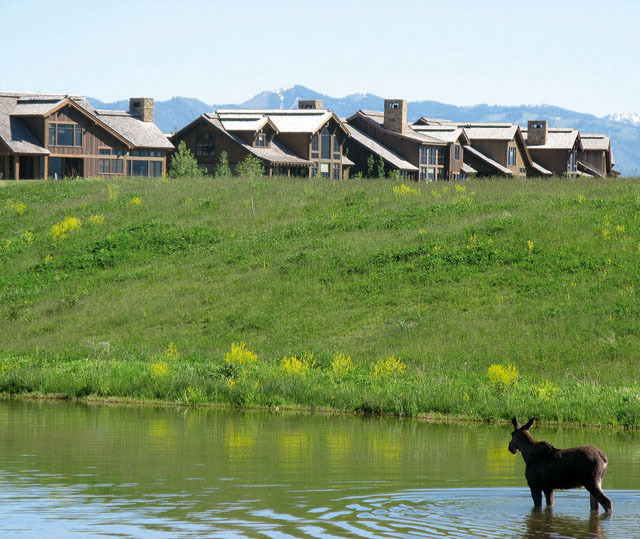 Forest Lakes Country Club will offer an extensive range of properties—2,700 of them are to be built in 15 years—from apartments to large, private lakeside family homes. Prices start at about CAN$471,646 (£260,000) and go up to more than CAN$5.4 million (£3m) and the build quality is outstanding: the houses are attractive, solid and well-built, constructed from local natural materials and built to be light and airy in summer and cosy when the temperatures go down below zero. Air Canada flies in and out of Heathrow on a daily basis to Halifax International airport, which is 20 minutes’ drive from the city— flights take about six hours. Return flights booked about a month ahead cost between £2,000 and £3,000 in business class. Nova Scotia is the second smallest region in Canada, the smallest being Prince Edward Island, and the second most densely populated.